Malone has been a cable legend since he first ran Tele-Communications Inc. back in the early 1970s. Besides being there at the founding of many channels, such as Discovery, his influence has put most of them on the map and his forceful business skills willed cable into becoming a key consumer medium for entertainment and news. Malone began his career in 1963 at Bell Telephone Laboratories, joined McKinsey & Company in 1968 and in 1970 he became Group Vice President at General Instrument. He is not shy about expressing his opinions either (see the pattern?). Tom Rutledge, the chief executive of cable operator Charter Communications Inc., was on vacation in the Caribbean in February when he got an unexpected phone call. Cable tycoon John Malone was on the line. Pay-TV looks ripe for some tie-ups. And Liberty Media wants to be the one to cable it all together. Vodafone Group PLC Monday launched a formal €7.7 billion ($10.1 billion) cash offer for Germany’s biggest cable operator Kabel Deutschland Holding AG,signaling its ambitions to grow in Europe again with its biggest acquisition there in more than a decade and laying down a challenge to John Malone’s international cable company Liberty Global Inc.
John Malone’s Liberty Media Corp. is nearing a deal to buy 25 percent of Charter Communications Inc. for close to $2.5 billion, say people familiar with the situation. 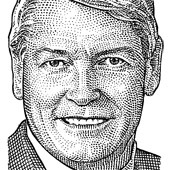 John Malone’s international cable business Liberty Global Inc. has agreed to acquire U.K. cable-television and Internet provider Virgin Media Inc. for $16 billion, in a deal that may create a stronger rival to market leader British Sky Broadcasting Group PLC. Mel Karmazin resigned as chief executive of Sirius XM Radio Inc., throwing in the towel after an extended battle with John Malone’s Liberty Media Corp. over control of the satellite-radio broadcaster. Liberty Media Corp. executives laid out their rationale for their surprise bid for Barnes & Noble Inc., touting the potential of the bookseller’s Nook e-reader and the vast network of retail stores it can use to promote it. Does John Malone Want To Own AOL? People like the puppet more than you because he is more real than you are. More honest than you are, smarter than you are. More human than you are. People want the Shel puppet to win. The same can’t be said for you my friend. — Open letter to Shel Israel from Loren Feldman, creator of the Shel Israel Puppet Show. Feldman (and his puppet) ruthlessly poked fun at his Silicon Valley luminaries he interviewed and anyone else in his path–but mostly at Shel Israel himself.